Winner of a Pulitzer Prize and a Susan Smith Blackburn Prize, this work centers on a young woman’s decision to end her life and the following interactions with her mother. Cory Olson will direct a two-person cast, one woman aged 35-45 and another woman 55-plus. Auditions will be held May 21 and 22, 6 p.m. at 60 N. Ann St., the corner of Ann and Old Shell. Auditions will consist of memorized one-minute monologues of the actors’ choosing and cold readings from the script. Show dates are July 26 through Aug. 4, Thursday through Saturday nights. Rehearsals will begin once the show is cast. Go to company11.org/auditions for details and an audition packet. The Mobile Arts Council is pitching in on the state’s bicentennial effort for next year when “Alabama 200 for 200” will celebrate the individuals and groups who shaped the state. MAC will commission 200 portraits of Alabamians who have made a significant impact and will utilize state artists for duty. The show is slated to open in September or October 2019. Artists must engage in an application process during which they will suggest a few of their top subject choices. The final date for application is May 31. Notification of selection will be sent out starting July 1. Artists will be given their assignments of the five to 10 individuals or groups no later than Aug. 1. 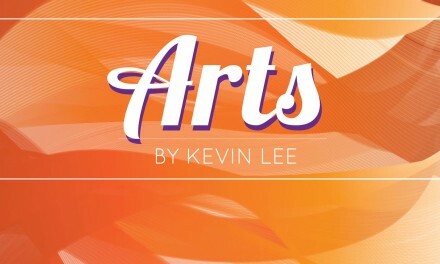 The RFP for artists is available now and artists can apply online at webportalapp.com/webform/al200for200 through May 31. A 2017 lawsuit against Mobile Ballet has ended. Plaintiffs’ attorney Ray Thompson filed a motion for dismissal without prejudice dated May 10, ending a contentious squabble that divided Mobile’s dance community. A group of then former and current Mobile Ballet board of directors filed the action alleging procedural and financial improprieties by various people, including board members and Mobile Ballet Director Karen Kennedy. They claimed violation of state and federal law. Defendants decried the lawsuit as “false and reckless” while their counsel cited ulterior motives. A new school, Classical Ballet of Mobile, was established later the same year employing former Mobile Ballet Artistic Director Winthrop Corey. Mobile County Circuit Judge Jay York dismissed some lawsuits on Sept. 7, 2017, without striking a claim for injunctive relief. The new motion for dismissal cited the departure of Kennedy and Sandra Parker from the board presidency as contributing factors. Kennedy told Lagniappe she tendered her resignation on Feb. 7 after six years in the position. Jill Ringold succeeded Parker as board president.